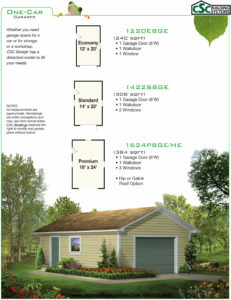 The CSC Garage Classic Series was designed as an economical detached structure strong enough to protect a homeowner’s automobile and belongings. 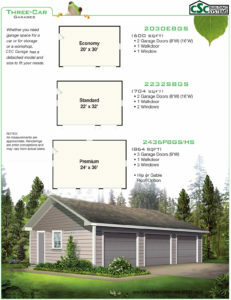 These one, two and three car garage packages are a beautiful solution for those in need of extra storage, car space, or a spacious workshop. 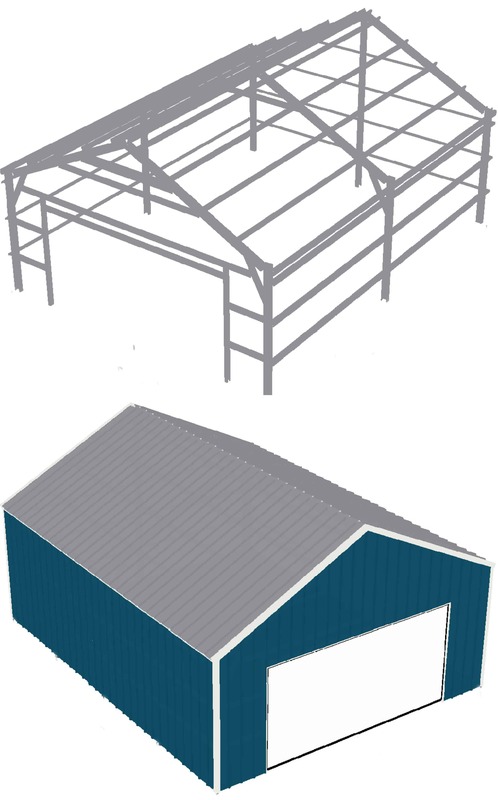 CSC Garage offers a pre-engineered framing system that cuts the fabrication process down to one fully integrated step. 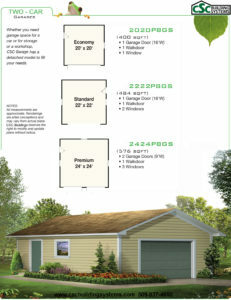 Each model offers a variety of layouts to meet a wide range of needs and budgets with Economy, Standard and Premium packages.